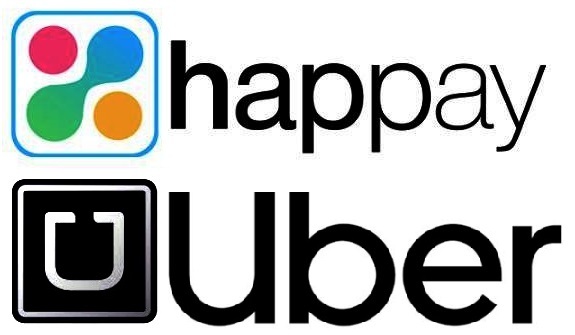 India’s fastest growing FinTech company, Happay and Global ride-hailing giant, Uber today announced a partnership to enable business travellers to auto-expense their business rides. With this new partnership, Happay will help its corporate customers gain complete visibility and consequently realise significant cost savings on their ground transportation while at the same time increasing employee productivity and satisfaction. Corporate finance teams will have more control and will be able to track ground travel expenditure in real-time and process travel reimbursements with ease. “Uber for Business continues to see overwhelming response from corporates across India. Empowering our riders to automatically submit their receipts for reimbursement is a logical step towards making business trips simple and stress-free. 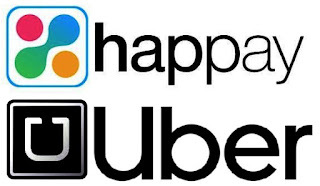 Thanks to our partnership with Happay, we can ensure Corporates never have to worry about travel receipts again.” said Arjun Nohwar, Head of Uber for Business for APAC. The partnership with Uber for Business is one of the many strategic initiatives Happay has undertaken to transform Travel & Entertainment (T&E) expense management in India. Last month, Happay unveiled a CFO Benchmark report titled ‘State of Indian Enterprise Travel & Expense Management 2018’. This exhaustive research was undertaken by CFO India magazine on behalf of Happay, to understand the current state of Travel and Entertainment (T&E) expense management across companies in India and the degree of automation in it. Happay also launched an Enterprise version of its expense management platform recently with AI-powered capabilities that help employees to auto-extract transaction data from Gmail invoices, SMSes, travel booking softwares, credit card statements, auto-scan of receipts, etc. The Enterprise version also seamlessly integrates with a broad range of Enterprise softwares such as Accounting ERPs, HRMS solutions, Travel management solutions, in-house solutions, CRM, etc, for a seamless exchange of data. Happay corporate customers can take advantage of the auto-expense feature by creating an Uber for Business account for their company and inviting their employees to use the company’s Uber for Business Profile. Once the profile is enabled, employees simply select Happay as their expense management provider within the payment settings. Every time employees complete a ride on their business profile, Uber automatically sends ride information from the employee’s business profile account to their Happay account, without the need for any additional input. Happay then converts this data into an expense item, ready for submission.